Take your Bellevue commute to the next level with a new Chevrolet models for sale at Gregg Young Chevrolet of Plattsmouth! We have plenty of new vehicles available on our lot right now, from the work-ready 2019 Chevrolet Silverado 1500 all the way to the adventurous 2019 Chevrolet Equinox. Schedule a test drive today! 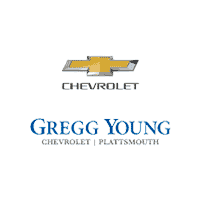 Save money vehicle shopping at Gregg Young Chevrolet of Plattsmouth. Find the right new vehicle for you and decide whether you are better off buying or leasing at Gregg Young Chevrolet of Plattsmouth. Feast your eyes on our 2019 Chevrolet Sonic LT Sedan that's bold and zesty in Black Metallic! Powered by a TurboCharged 1.4 Liter 4 Cylinder that generates 138hp connected to a smooth-shifting 6 Speed Automatic transmission. This Front Wheel Drive is a quick and agile car that's easy to drive and great to own as it rewards your wallet with near 37mpg on the highway. It's the little things that make life rich and the updated design of our Sonic LT Sedan proves that with its confident stance. Check out the automatic headlights, chrome accents, LED daytime running lights, and great-look wheels! Open the door to out LT and you'll be met with everything you need to make each drive feel awesome. Power locks/windows, 60/40 split folding rear seat back and upgraded cloth seats are just a sampling of features. You can strengthen your connection via your smartphone thanks to Android Auto and Apple CarPlay and you'll certainly appreciate Bluetooth, the touchscreen interface, OnStar with available WiFi and a fantastic sound system with available satellite radio that puts your favorite songs right at your fingertips. Chevrolet is with you all the way and safety is the name of the game. You've got stability/traction control, 10 airbags, and a high strength steel safety cage providing you with ultimate peace of mind. Go ahead and unleash your fun side with our Sonic LT! Print this page and call us Now... We Know You Will Enjoy Your Test Drive Towards Ownership! We offer PRE-APPROVAL programs so call (515) 256-4010 to get started today! At Gregg Young Chevrolet... We'll Go The Extra Mile For You. We have an app for that! Download the Gregg Young Chevrolet application directly to your iPhone or Android. Take 17% off MSRP on select vehicles with GM Financing. Must have a '05 or newer non-GM vehicle in the household to qualify. Some restrictions apply. See dealer for details. Not compatible with 0% financing.